The Hooks classic styling and revolutionary titanium construction is the foundation for the entire William Painter line. It was created to challenge outdated ideas. Michael La M. Reviewed by Michael La M.
As they say they are, don't fall off your head, excellent vision through the lenses, feel strong and durable i can see these lasting forever! Kyle A. Reviewed by Kyle A. Upon receiving the tightly wrapped package, you can tell that great care went in to ensuring the product was protected. After the long trip to Ontario, I began by removing the Canada Post shipping bag. Next I opened the first packing box which to my surprise had another sharp looking William Painter box inside. Opening that box displayed an awe-inspiring hard case with the William Painter logo on it (this is a high quality case my friends). Now when this case was opened up, there before me was the most beautiful thing I've ever seen - the gold hooks from William Painter. As I removed these shades from their case, a feeling of power consumed me, like a modern day King Arthur removing the sword from the stone. Once these were placed upon my face, my jaw line chiseled itself, my arms swelled up causing my sleeves to tear off, my 6 pack of brews turned into chiseled 6 pack abs, and my wife actually looked at me like she use to when we first met. The next hour and six minutes was spent with her while I wore nothing but the gold hooks (if you know what I mean). If you've read this far, I'd just like to say kudos to you, and that these are definitely better quality, fit, and comfort than any other brands I own. If you're considering William Painter - do it, you won't regret it. Leon P. Reviewed by Leon P.
The Gold Hook sunglasses are awesome! the Fit really well and my wife loves the look of them!! Tom N. Reviewed by Tom N.
Sunglasses - check. Since getting these I've quit my job and am taking my family traveling around the world. Nothing to do with the sunnies but they do look great. 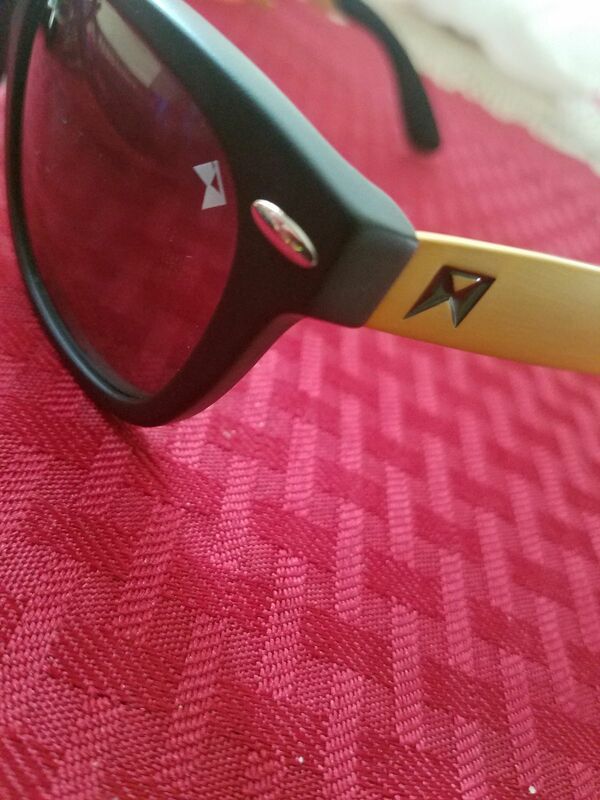 dany l. Reviewed by dany l.
These are the best sunglasses I have ever owned. The bottle openers have come in handy more times than I would like to admit and the quality of the titanium is outstanding!